Charlie Hufnagel, working with TaskRabbit, will stride through the Apple store's glass doors on Friday morning at Union Square on behalf of someone else -- pocketing $1,500 along the way. With demand apparently at an all-time high for the new iPhone, busy people who want the latest thing are willing to employ any means to get their hands on the new handheld. The prices TaskRabbit is offering vary, depending on the length of wait time requested, time of day, etc. The going rate seems to be around $55. A man in Chicago, who is not with TaskRabbit, was offered $500 for his spot at the head of that line -- making TaskRabbit look downright economical. 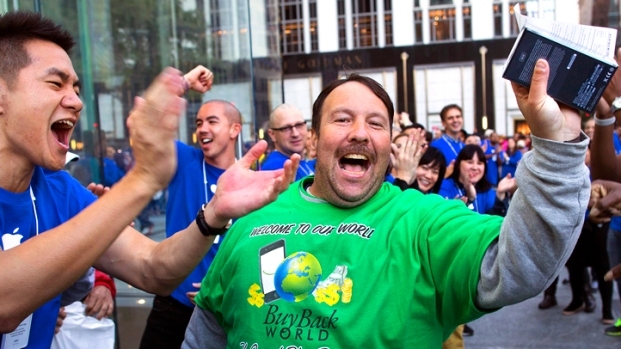 You've waited long enough for the iPhone 5, why should you have to wait in line too? 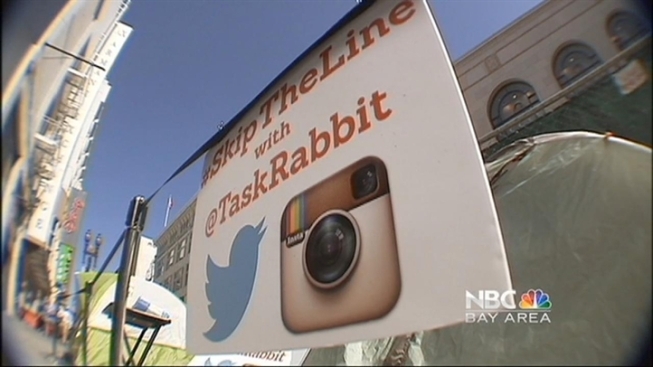 A TaskRabbit will wait in line for you for up to four hours the morning of the release, Friday, September 21st. Then you'll swap places and buy your shiny new iPhone — it couldn't be easier. Pre-orders for the iPhone 5 set a record with 2 million units sold in the first 24 hours.